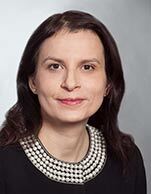 Boriana Farrar is a Vice President, Counsel and Business Development Director of North America at Shipowners Claims Bureau, Inc., managers of American P&I Club in New York. She handles a variety of P& I claims with focus on personal injury crew and passenger claims and casualties. Previously, Ms. Farrar was working at a leading New York maritime law firm Hill Betts & Nash LLP. There, as a partner in its maritime practice, she had responsibility for conducting a broad range of litigation in the area of maritime disputes in both federal and state court, including matters involving: personal injury, maritime casualties, breach of contract and various other insurance defense disputes. Ms. Farrar holds a Masters Degree in Admiralty & Maritime Law from Tulane Law School where she was a part of Tulane Maritime Law Journal and Tulane Moot Court team. Ms. Farrar holds another Master's Degree in International and Comparative Law from the University of San Diego School of Law. She has a thorough international background, having pursued her legal studies not only in the U.S. but also in her native Bulgaria, the U.K. and the Netherlands. In addition to her native language, she is fluent in English, Russian and German. Ms. Farrar is the co-author of the update of Practice and Procedure Chapter, Benedict on Admiralty, Cruise Lines, Vol. 10, Ch. III and Crewmembers Chapter, Benedict on Admiralty, Cruise Lines Vol. 10, Ch. VI (Matthew Bender) (2010-2016). Ms. Farrar also co-authored the Article "Managing Agent Status for Purposes of Limitation of Liability Act." in the Arbitrator, Vol. 40, pp. 12-15 (October 2008) and "Forum Selection Clause Survey 2003 - 2005", 29 Tulane Maritime Law Journal, pp. 549-567 (Summer 2005). Ms. Farrar had the honor to serve as a Board Member of the Maritime Law Association of United States ("MLA") from 2013-16 and is currently a Board Member of Women International Shipping and Trading Association ("WISTA").